Sentinel Annual Literature Anthology (SALA) is a yearly publication of new poetry, short fiction and plays by SPM Publications - the publishing division of Sentinel Poetry Movement. The Sentinel Annual Literature Anthology is a fantastic collection of writing that spans a variety of genres. 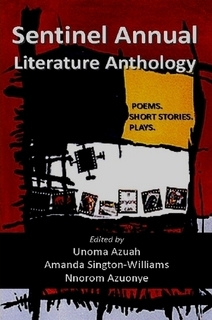 There are new poems, short stories and plays edited by Unoma Azuah, Amanda Sington-Williams, and Nnorom Azuonye. The contributors come from Hong Kong, Nigeria, the USA, Australia, the United Kingdom and other countries.